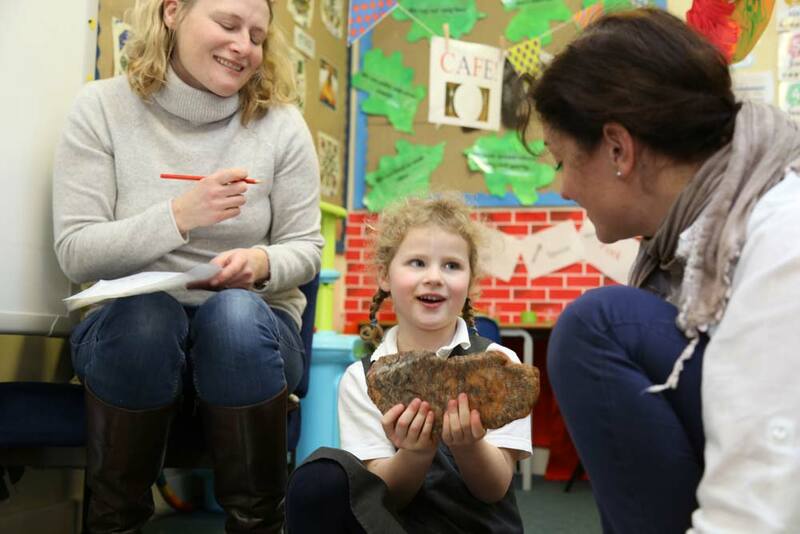 Thagomizers, femurs, claws, teeth, horns, eggs and coprolite were just some aspects of the wonderful world of Dinosaurs that Reception worked with on Friday. The Reception classes invited Mums, Dads and Grandparents to come and join in on our Dinosaur adventure. 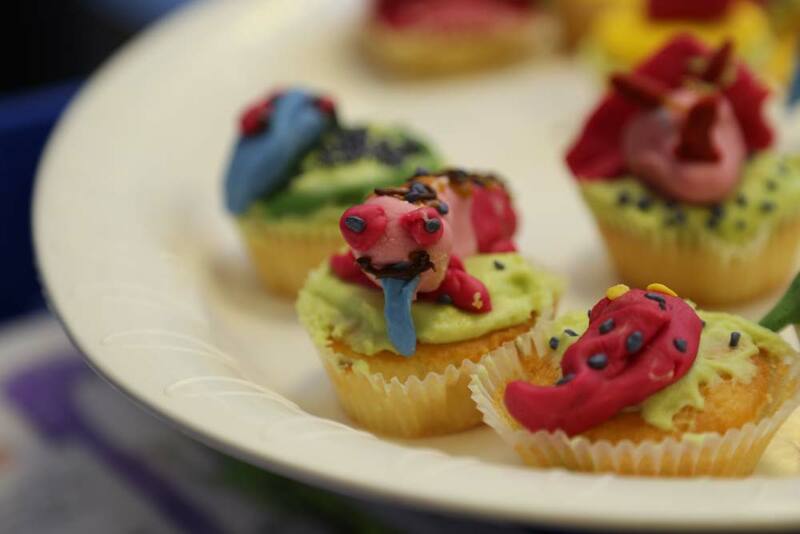 With help from some of our Year 6 girls the children and parents were lead through a series of activities; making plaster cast fossils, creating a dinosaur themed cupcake, completing a dinosaur quiz and a dinosaur maths activity – measuring dinosaur footprints and femurs. The workshop created a real ‘hands on’ approach to learning allowing the children to build on previous knowledge learnt earlier in the term. It created an opportunity for the children to think about things in a more critical approach. Why did the Baryonyx need such a sharp claw? It was also good for the children to know that even the dinosaur experts make mistakes, they enjoyed the story of the iguanodon thumb claw claiming status as a horn on a nose before new evidence suggested otherwise. Thank you to all the parents who came and joined in the fun and also to our Year 6 helpers. A special thank you goes out to Elouise who came cross from the senior school geology department to help us realise this learning adventure. 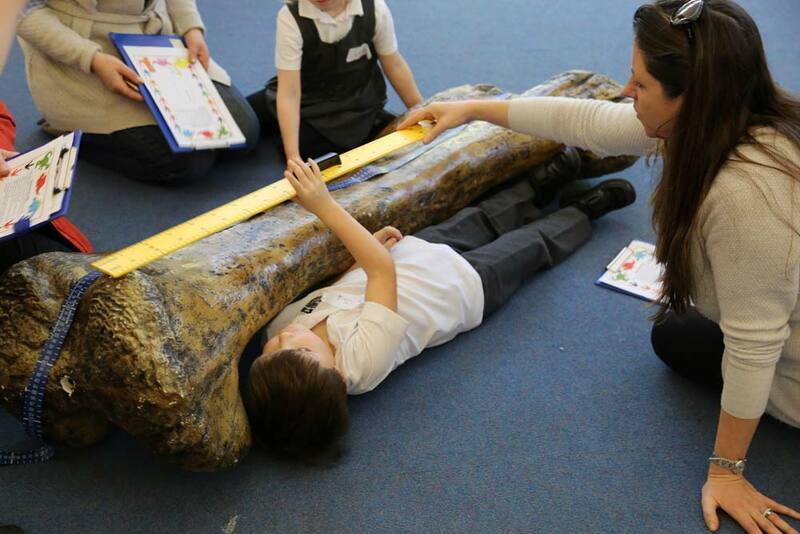 A full image gallery from the dinosaur workshop is available to view here.